We've all been there, either borrowing or sharing a login to Netflix (NFLX - Get Report) . Sometimes it is with roommates, other times just friends and family. But so far, Netflix has been pretty lenient when it comes to who logs into what account and from where. It's allowed many people to enjoy Netflix's wide library and streaming service, which is already pretty cheap even after the price bump to $13/month for a standard account. This is particularly true when compared to its streaming peers. However, it's also resulted in Netflix leaving a lot of money on the table. According to a recent study, it suggests that up to 20% of people are using someone else's account when it comes to streaming. That includes Netflix, Amazon (AMZN - Get Report) and Hulu -- the last of which will be majority-owned by Disney (DIS - Get Report) , once its acquisition of Twenty-First Century Fox (FOX (FOXA is closed. When examining the numbers, mooching off Netflix goes on for much longer than the other streaming platforms, with an average length of 26 months. That numbers drops down to 16 months for Amazon and is more than halved for Hulu at 11 months. In the end, does that represent a lost cause for Netflix or a giant opportunity? 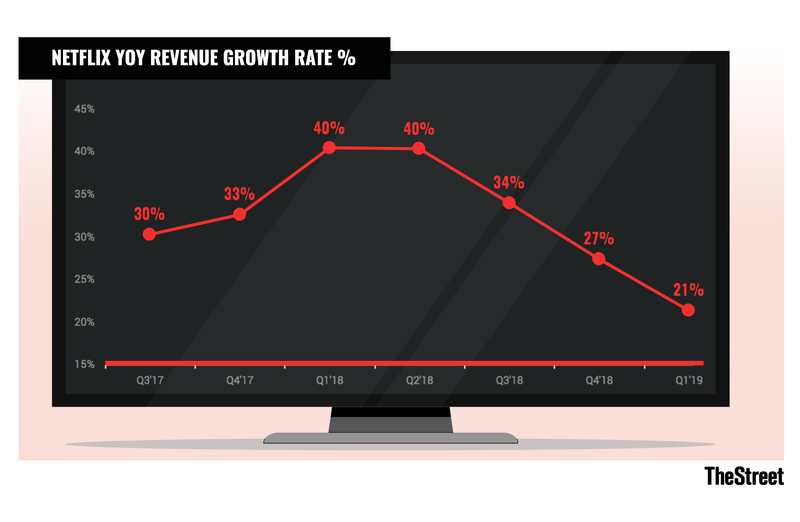 Right now, Netflix is still in the user growth stage. While it is now also logging positive bottom-line results, it's still about expanding into the entertainment space and growing its global audience. As of the company's latest earnings results, it's now at 139 million global subscribers. It's a continuous cycle: As Netflix's user base grows, it generates more money, which is then used to expand its content library. As its content improves and the library grows, Netflix has improved pricing power and can start focusing on forcing users to have their own accounts down the road. According to the study, Netflix could be losing out on up to $192 million worth of revenue each month because of account sharing. That dwarfs the estimate for Amazon and Hulu, which currently stand at $45 million and $40 million, respectively. But at the same time, if all of these people are using the Netflix service for "free," they will inevitably get hooked on the platform's offering and many will pay for their own account if and when they are forced to. While not every user will conform, pushing these customers into new accounts will be revenue drivers in the future, not revenue losers. And let's face it, Netflix offers great value at current prices. Even if users find HBO Now, the upcoming Disney+ platform and something like Alphabet's (GOOGL - Get Report) (GOOG - Get Report) YouTubeTV to be their optimal platform, it's hard to imagine Netflix not being on the list at sub-$15 a month. The bottom line: While it's easy to think of account sharing as a net-negative for Netflix in the short-term, it could very easily be a big-time positive in the future. The stock ended down 1.31% at $358.10 Thursday.